Hospice of Santa Barbara �volunteers� its free professional counseling and care management services to more than 550 children and adults every month who are experiencing the impact of a life-threatening illness, or grieving the death of a loved one. Hospice of Santa Barbara is also present on eight local middle and high school campuses to work with children and teens who are grieving the loss of a loved one. For more information about Hospice of Santa Barbara, including volunteer opportunities, call (805) 563-8820 or visitwww.hospiceofsantabarbara.org. Find Hospice of Santa Barbara on Facebook and Twitter. The Extramile.org. Donate to help someone get to a dying relative!! The world might be smaller than it once was, but that means families are often more spread out and in times of emergencies, that can prove a major difficulty; enter The Extra Mile. It is a nonprofit initiative that encourages people to donate unused frequent flier points to those trying to visit their terminally ill loved ones. Some 93 percent of us carry traces of the synthetic compound Bisphenol A (BPA) in our bloodstreams, so it�s no wonder that public health advocates are concerned about its potential effects. Developed in the 1950s to strengthen plastics and epoxy resins, BPA is today used in a wide range of products, including many plastic food and drink containers, the lining of most cans, some paper products, and dental sealants. But with widespread use of BPA has come increased scrutiny regarding its potential impact on human health. When ingested, BPA mimics naturally occurring human hormones and thus can potentially interfere with the body�s endocrine and reproductive workings. According to the nonprofit Breast Cancer Fund, previous research has linked BPA exposure to with increased risk for cardiovascular disease, miscarriages, decreased birth weight at term, breast and prostate cancer, reproductive and sexual dysfunctions, altered immune system activity, metabolic problems and diabetes in adults, and cognitive and behavioral development in young children. 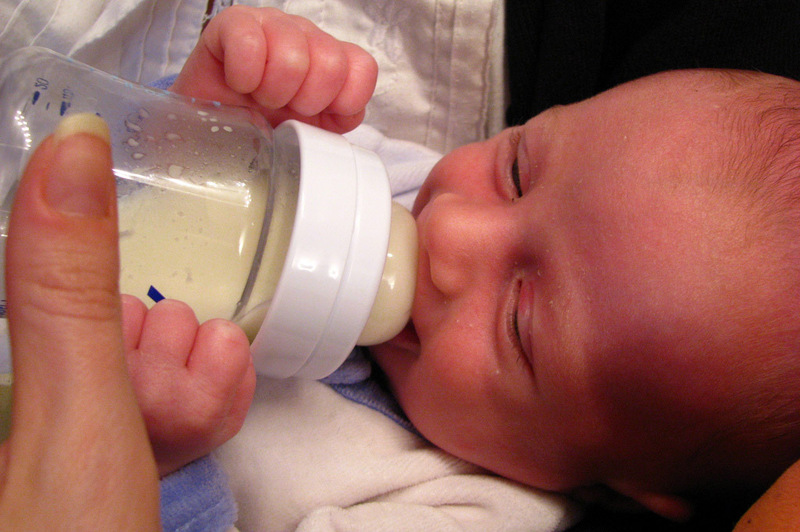 These concerns have led the European Union, Canada�and more recently the U.S.�to ban the use of BPA in baby bottles and other items geared toward babies and children. Meanwhile, the U.S. Food & Drug Administration (FDA) maintains that typical low-level BPA exposure does not pose any health risk. A February 2014 study by FDA researchers found that low doses of the compound did not affect the health of rats over a 90-day study period. While study rats exposed to higher doses of BPA had lower body weights, abnormal female reproductive development and altered hormone levels, there were no such effects in rats exposed to lower doses more akin to what humans experience. But critics point out some flaws in that study which call its conclusions into question. For one, a control group of rats that was supposed to remain unexposed to BPA somehow had levels of the compound in their blood equivalent to the lowest-dose study population. FDA researchers maintain that this contamination of the control group did not affect their results because neither group of rats showed any effects given their low-dose exposure. Another issue is that the researchers did not look at neurological effects such as changes in learning, memory and behavior. More research is underway still. The February 2014 FDA study is part of an ongoing two-year assessment of the toxicity of BPA. Dozens of university studies are also in progress to shed more light on just how risky our use of BPA may be. Consumers should continue to take precautions to limit their intake of BPA by avoiding polycarbonate plastic food and drink containers and metal cans, and by refraining from putting plastic items in the microwave�a process that can expedite the leaching of BPA into food. CONTACTS: Breast Cancer Fund, www.breastcancerfund.org; U.S. Food & Drug Administration, www.fda.gov; Environmental Health News, www.environmentalhealthnews.org.